JR turned the big 3-0 on Monday and we spent the weekend in New York celebrating. We had such a great time! But when we got off the plane on Monday night in Indiana, there was definitely a hint of fall in the air. It was a perfect night, 75 and cool, sunny...but it was one of those nights that leads you to believe that summer is winding down. Summer is starting to come to a close, and I'm finally getting excited about booties and jeans and sweaters. But I am very sad to put this little blue dress away until next year. I loved wearing this dress to a recent wedding, and I'm not above re-wearing season after season, so rest assured you will see this dress again next year! If you all loved the tassel necklace in my last post as much as I do, then you'll be excited to hear that Wild Juniper and I have teamed up to give one follower the chance to win a tassel necklace of her choice! 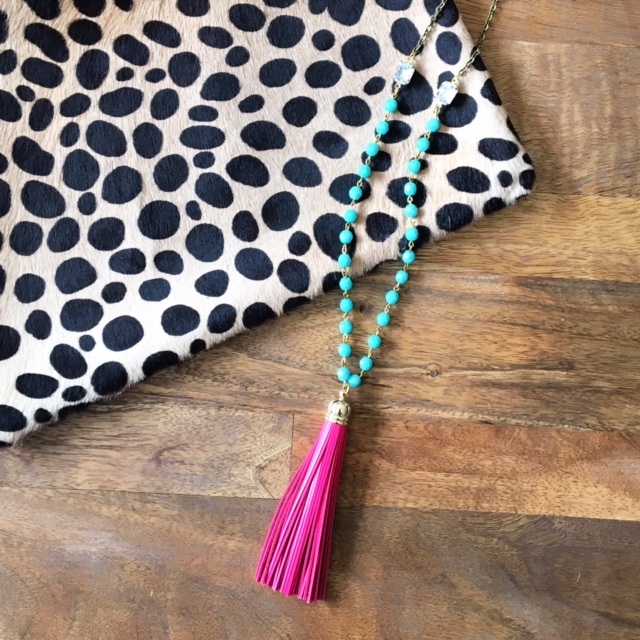 I had been on the hunt for a bright, fun tassel necklace that could transition from summer to fall. With the turquoise beads and leather tassel, this one is perfect. I was so excited when the ladies from Wild Juniper reached out about a collaboration. They have been wonderful to work with, and I received my beautiful necklace in just a few short days! 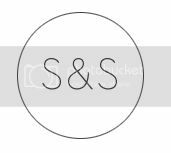 Check out the Wild Juniper Etsy shop to see the other beautiful pieces that Erin and Racheal have to offer! 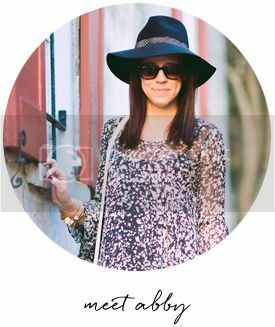 And check out my Instagram for a chance to win a tassel necklace of your choice! Terms and conditions of giveaway on the Instagram post. I cannot believe it's August! I feel like I say that every month, but it's crazy to be that we're already almost into fall. I don't know if it's because we've been so busy this year or because this year has been so fun, but it is flying by. A few weeks ago, we headed out West for the wedding of two of our dear friends, Kalen and Boyd. 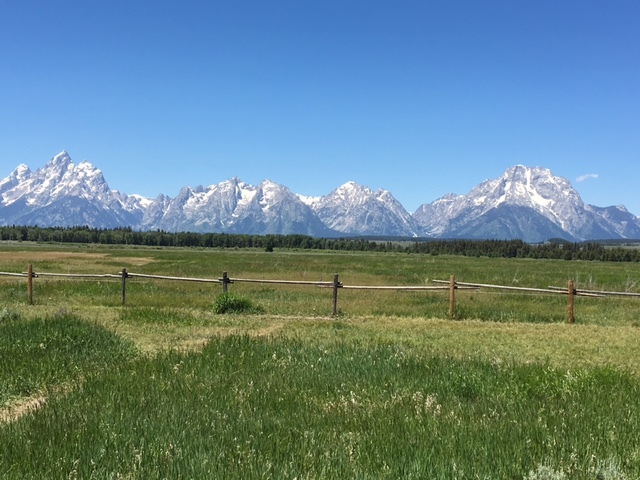 JR and I had never traveled to Wyoming before, so we decided to tack a few days on to the beginning of the trip to get out and enjoy the great outdoors!